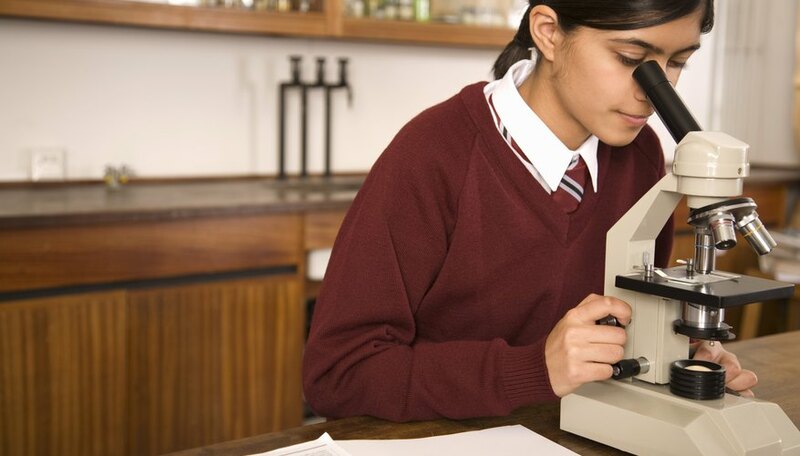 Dissecting microscopes are used to examine objects slightly too small to view with the naked eye but need less magnification than a compound microscope. Compound microscopes have a movable nose piece on which several lenses are mounted whereas dissecting microscopes only have one set of lenses that move up and down. To change magnifications with a dissecting microscope, simply turn the knob located on the side of the scope. Examine the magnification knob. Some dissecting scopes will have total magnification written on the magnification knob so that you will not need to do multiplication to determine it. Check the eyepiece, or ocular lens, to see that it has a magnification of 10x. Although a 10x magnification is most common, it may vary from microscope to microscope. The magnification is usually stamped somewhere on the eyepiece itself. Look at the nose piece of the dissecting microscope to determine whether there is another objective lens in place. It is possible to increase the magnification of a dissecting scope by screwing on another objective lens. 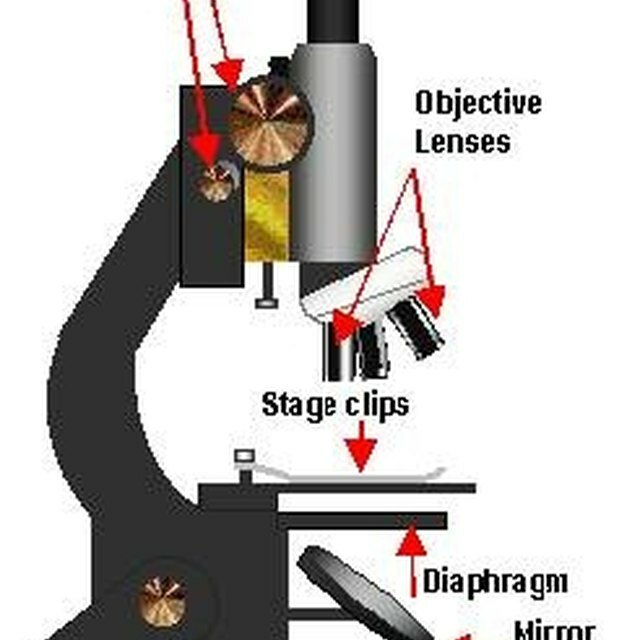 Place the specimen on the stage and view it through the eyepiece. Turn the magnification knob until the object is as large as you need it to be. Look at the number on the magnification knob. These numbers usually range from about 0.7 to 3, but can vary from microscope to microscope. Multiply the magnification on the eyepiece (10x) by any magnification present on the nose piece (usually 1x, but it can be more) by the number on the magnification knob to get your total magnification. For instance, if there is no additional objective lens and the magnification knob is set at 1.5, then your total magnification would be 10 times 1.5, or a total magnification of 15x. This means the object as you see it under the dissecting microscope is 15 times larger than what you would see with the naked eye. If an additional objective lens with a magnification of 2x is present, then the total magnification would increase by twofold and be 30x. What Is the Function of a Microscope? What Are the Objective Lens Band Colors of a Microscope? Lehman, Christine. "How to Calculate the Magnification of Dissecting Microscopes." Sciencing, https://sciencing.com/calculate-magnification-dissecting-microscopes-5873482.html. 24 April 2017.